Dr. Landon Taylor provides exceptional chiropractic care in Georgetown. 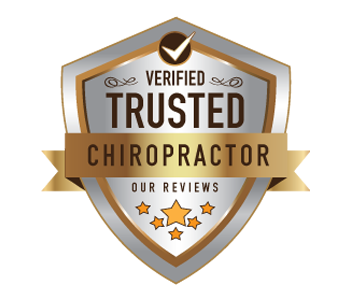 If you are in search of a chiropractor in Georgetown, it makes sense to choose an experienced doctor you can trust. Our comprehensive approach at Georgetown Family Chiropractic in Georgetown KY ensures that we give you the best opportunity to achieve health. Rest assured, you will be in good hands with the chiropractic team at Georgetown Family Chiropractic. If you have any questions, feel free to contact our team in Georgetown. We are here to help you achieve your health goals. Many individuals in Georgetown believe chiropractic care can do little more than relieve pain in the neck and back regions. However, chiropractic was developed to treat a much wider range of conditions than just back or neck pain. In fact, the first spinal realignment performed by D.D. Palmer, the founder of chiropractic, aimed to restore the hearing function of a man who had been deaf. After an adjustment that relieved the inflammation of neural pathways in the man’s body, he could hear once again! After making miracles reality, D.D. Palmer sought to bring chiropractic’s healing properties to the masses. Georgetown Family Chiropractic has been providing chiropractic care to the Georgetown community for over 20 years. Dr. Landon Taylor took over the clinic in 2016, and along with his associate Dr. Sarah Horsley they have updated the office to a more modern facility that is warm and inviting. No other chiropractic office is quite like ours and you will feel as if you’re part of our family from the moment you walk in.